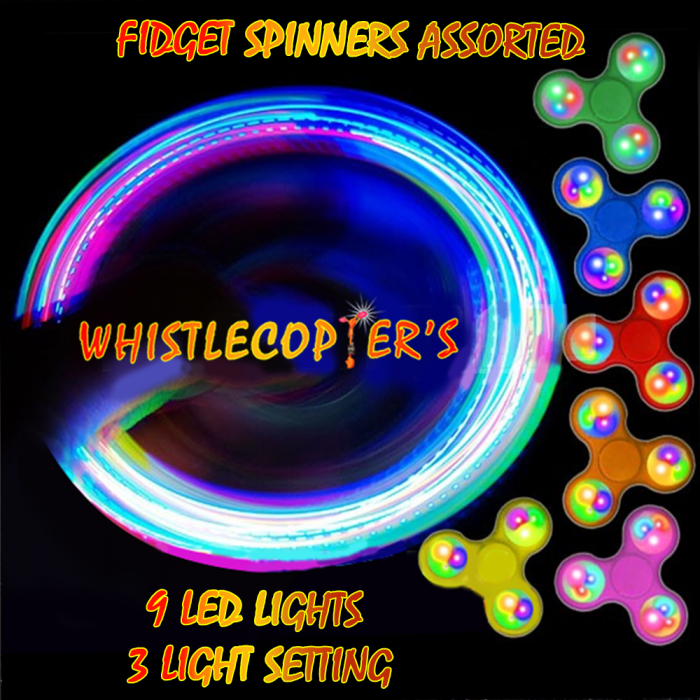 LED Fidget Spinners are the latest in stress reducing toys that put out an amazing light show and entertain for hours! Each hand spinner can spin for over 200 rotations on a single spin with the embedded metal ball bearings. Each of the three axis’s have red, blue, and green LEDs inside. When turned on using a push button switch you can set the lights to illuminate. The Fidget Spinners are sold in assortment of colors: green, blue, yellow, orange, black, white, red, and pink. CR1632 Lithium batteries are included but non-replaceable.